Greece is being systematically raped and pillaged. It’s painful to see how easily powerful monied interests can destroy a nation without firing a shot. Financial war is as cruel and ruthless as naked aggression. Long-suffering Greeks understand better than establishment economists – paid to con people to believe destructive policies benefit them. Harder than ever hard times awaits Greeks and ordinary people throughout Western societies. Regimes in Europe and America serve their privileged elites alone at the expense of most others, especially their most vulnerable and needy. Their governments are their worst enemies – in bed with dark forces destroying their welfare and futures. SYRIZA was elected on a pledge of no more austerity. Betrayal followed. It’s just a question of how bad things will be once the dust settles. What’s happening isn’t pretty. On Sunday, Eurogroup president/Dutch finance minister Jeroen Dijsselbloem gave Greece the Troika’s take-it-or-leave-it harsh ultimatum – a list of stiffer austerity measures than earlier proposed and other tough ones as a condition for more bailout help – now reportedly for 86 – 87 billion euros over three years (10 billion euros immediately for bank recapitalizations). Higher regressive VAT taxes hitting millions of impoverished Greeks hardest along with broadening the tax base affecting ordinary people most. Stiff pension cuts (on top of 40% eliminated earlier) including for poor retirees cut no slack. Adopting a Code of Civil Procedure to streamline procedures and reduce costs – in other words, continued stiff budget cuts harming millions of Greeks already suffering hugely from earlier imposed austerity. Full implementation of the Treaty on Stability, Coordination and Governance in the Economic and Monetary Union’s key provisions – including mandated spending cuts gutting social services more than already. Giving foreign investors freer access to plunder Greece’s economy. Privatizing power generation and transmission along with other state enterprises previously off-limits. Neutralizing labor rights ahead of eliminating them altogether – including restricting collective bargaining and right to strike as well as eliminating hiring and firing restrictions. Rescinding SYRIZA enacted laws not agreed on by the European Commission, ECB and IMF. Transferring up to 50 billion euros worth of Greek assets to a Troika controlled fund based in Athens to contribute to servicing debt and recapitalizing Greek banks. Possible debt restructuring by extending maturities, not write-downs. 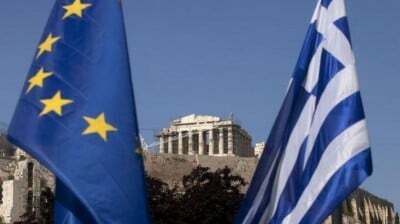 Troika officials will monitor Greek implementation of demands. Bottom line: they mandate Athens entirely surrendering its sovereign rights to the European Commission, ECB and IMF. Greater than ever austerity will be imposed, hitting millions of impoverished/unemployed Greeks hardest, including poor pensioners to receive less than their already meager payments en route to eliminating them altogether. Privatizing state enterprises earlier considered off-limits. Plans are to transform Greece into an nightmarish dystopian wasteland. It’s hard imagining any government accepting what’s demanded. No responsible one would. Tsipras sold out. His signature on the final deal alone awaits. Word from Brussels is all parties agreed on a deal. It’s official. Tsipras handed Greek sovereignty to Troika bandits, agreeing to all their unacceptable demands. Greece’s parliament must accept the deal and enact demanded legislation by July 15 complying with Troika diktats. It’s almost but not entirely certain – defying overwhelming public opposition according to polls. Greeks suffered horrifically under Nazi occupation during WW II. It took a terrible toll on millions. Tens of thousands of Athenians alone perished from starvation. Many thousands more endured barbarous Nazi persecution. Greece’s economy was destroyed. A Berlin-installed collaborationist regime brutalized it own people. Around half a million perished – from starvation, massacres, assassinations and other forms of brutality. People were shot on sight for no reason. Women and young girls were raped, many then savagely murdered. Greece is again occupied, a Troika controlled colony, its sovereignty lost. Tsipras is a modern-day quisling – selling out to monied interests disgracefully. He’ll be remembered for agreeing to a Greek Versailles. This time financial predators are villains – force-feeding pain and suffering their way. Human need and welfare are sacrificed for unrestricted profit-making the old-fashioned way – pillaging an entire nation, wrecking its economy more than already. Stephen Lendman lives in Chicago. He can be reached at [email protected] His new book as editor and contributor is titled “Flashpoint in Ukraine: US Drive for Hegemony Risks WW III. http://www.claritypress.com/LendmanIII.html Visit his blog site at sjlendman.blogspot.com. Listen to cutting-edge discussions with distinguished guests on the Progressive Radio News Hour on the Progressive Radio Network. It airs three times weekly: live on Sundays at 1PM Central time plus two prerecorded archived programs.